Jimmy Moore, Becky Gandy, Kim Eidson and gang have done it again! 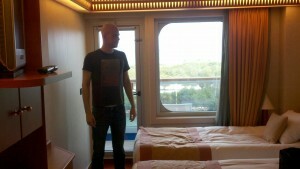 The 2011 annual Low Carb Cruise was a smash hit! Many of the same friends and esteemed experts returned this year. I’m smacking myself for not getting more pix of me with the likes of Dr. Andreas Eendfeldt, Dr. Michael Fox, Dr. Mary Vernon (special to my heart), Tom Naughton (hey Tom send me that pic of us! ), Jacqueline Eberstein, Dana “the Energizer Bunny” Carpender, and so many others. And this year the boat didn’t break! 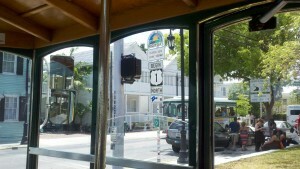 It was smooth sailing all the way from Ft. Lauderdale, to Key West, to Grand Cayman and then on to Jamaica – YA MON!! But who was going to get the window bed? We didn’t do much on Key West other than have a nice lunch by the ocean then back on the boat by 3:30 and then on our way to Grand Cayman. The next day was a day at sea on our way to GC and our first of two days of fantastic seminars. Once again I gave my talk called Why You Want Muscle. I wish there was a way to link my PPT presentation on this blog. Everyone’s presentations were fantastic. Tom Naughton’s talk almost made me wet my pants. As we awoke the next morning, Grand Cayman Island showed it’s beautiful face. No I didn’t take a darn pic. 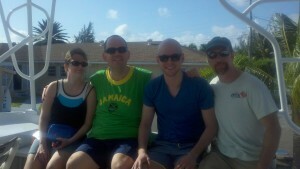 Here’s Jimmy and Christine Moore, my nephew Mickey and I on our way to the start our Grand Cayman excursion. First we swam with stingrays (yes all those gray things in the water are sting rays – just like the ones that offed Steve Irwin). It was really interesting having all those critters sidling up to you without a warning. I kissed one just to show my girls how brave daddy is. When I showed them this picture, they said I was nuts. Thanks girls! 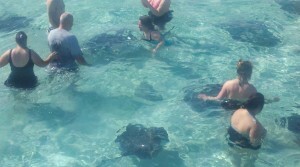 After our sting ray soiree, we snorkeled with fishies and tangled with turtles. 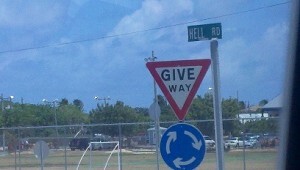 On the way to the turtle house we made a left and wound up on the road to hell. Quite literally. That’s me holding the ferocious creature! OK “tangled” is a bit over the top. Petted and cuddled is perhaps a better description. They were so cute! 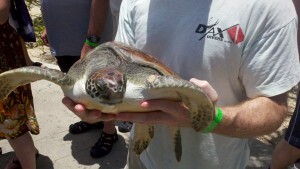 Cute as they were, in the turtle sanctuary restaurant/pub, grilled turtle steaks were on the menu. Yes, of course I tried one! What meat-eating mammal wouldn’t? Truth be told, they were pretty bland. 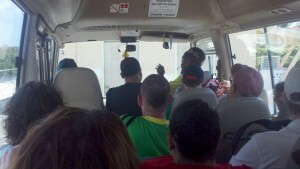 And here we all are packed into our bus coming back from the amazing Grand Cayman excursion. As our Jamaican guide kept saying and as we dutifully replied: YA MON! No those are not my fingers, but the fingers of a fellow low carber -a lass – but alas I don’t remember who she was. 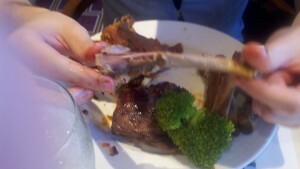 I tell ya – when you eat low carb you have energy busting at the seams! There is so much more to tell that my head swims. I could spout for hours about the wonderful Swedes who have created a magazine called LC HF (low carb high fat), about the many conversation regarding exercise, personal challenges, successes, etc. Truly life changing stuff. All in all I think virtually everyone came away with a renewed sense of purpose and, I think, an even more positive outlook on life livin’ la vida low carb (and strength training!). Please join us on the cruise next year. You will be floored by the 2012 line up of speakers. You won’t be disappointed. Eat fat and stay strong! Bill and I are starting a special savings account for next year’s cruise! Can’t wait!! Excellent Jeanie! Be so nice to see you both again. How’s Bill’s book coming along? Can you email my the ppt presentation you mentioned in your blog post? I came over from Tom Naughton’s blog in case you track that sort of thing. I don’t know how to zip it! Do you? I’m posting all of the PowerPoint presentations from this year’s cruise on the official Low-Carb Cruise web site at http://www.lowcarbcruiseinfo.com very soon. Fred, you can send me your slides from your presentation through DropBox or DropSend. E-mail me if you have trouble. 🙂 THANKS again for a fantastic lecture. I will do so Jimmy as soon as I can. I’m having knee surgery Monday so if I can’t figure it out this weekend I’ll do it on Thursday of next week. Fred – I am one of your biggest fans. 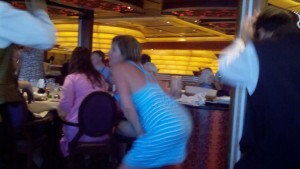 The time you gave to all of us while on the cruise was amazing. I have heard such positive feedback about your training sessions. Wish you could transplant your family to Houston!! Becky!! You are too sweet. Well, as soon as we know the speaking lineup and the schedule, I’ll be able to set up some sessions. I am actually going to create a biz plan for the cruise lines and see if I can sell them on a Slow Burn/Low carb health program. The idea would be to train three times for 20 minutes while on the ship and be advised on how to eat so that they actually leave the cruise lighter, healthier and stronger all the while eating all of the right foods they like and exercising for a mere hour for the entire week aboard the ship. I’ll be asking many in our group for testimonials and such to help me sell it to the director(s). I’m going to call it: The Slow Burn All you can eat, Cruise and Lose health program! 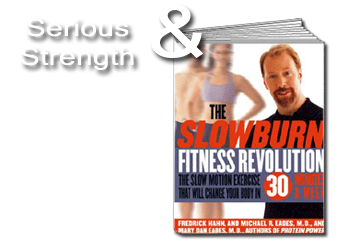 I would be much more willing to save the money to take the LC cruise if I knew I could get three slow burn training sessions. The only other place I can get training is a 2 and half hour drive away. Please submit your business plan. 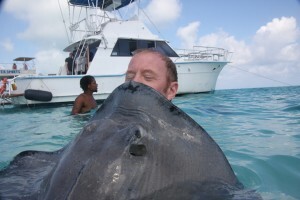 I spent a week in the Caymans last summer. What a beautiful place! Looks like the cruise was incredible.